When viewing the model, you will notice up to four different colors of boxes in the various diagrams. If you cannot see a diagram when you click on a domain, look for the bar labeled "Diagrams" and click on the item in purple below it. When inside the domain diagrams, the main color scheme is evident. Green boxes represent entities. An entity can be a device, an insurance company, a hospital or even a prescription drug. Yellow boxes represent a role someone is playing, such as patient, doctor or nurse. Red boxes represent an act, such as an observation, requesting a lab test, or giving a flu shot. Blue boxes mean that an entity is participating in an act. Computationally Independent Model (CIM) - A model which is not geared to any specific operating system or computer language. Unified Modeling Language (UML) - A notation used to describe the information in a system. This language can be automatically generated from the model diagrams! So the models can in a sense speak to us. They can definitely speak to a computer as they can generate many items of value. The FHA, together with its federal partners, addresses Executive Order 13410 to achieve secure, interoperable health information exchanges within the federal government and its consortia. FHA serves a coordinating and convening role across the federal agencies to support alignment of health information technology (IT) investments. This has led to the Federal Health Interoperability Modeling (FHIM) Initiative, Federal Health Information Planning and Reporting (FHIPR), and other projects aimed at coordinating across federal agencies. The FHIM is a model of healthcare data developed for the FHA partner agencies. The FHIM project seeks to develop a common Logical Information Model or Computationally Independent Model (CIM). 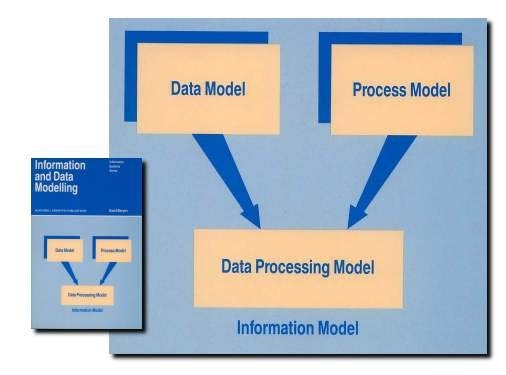 The FHIMS is an information model rather than a data model. Usually data models are meant to be implemented, whereas information models are higher level specifications. When an architect for a building draws up blueprints which show where the walls and windows are, where the electrical and plumbing lines go, that is like a data model. The builder uses it to order materials and start work. A programmer uses a data model to design Java or C ++ classes. An information model is more generic. It is abstract in that it defines classes only down to the level just above any one type of computer. However, modeling is really more of a continuum from the most abstract concepts down to the most specific ideas. There are currently no hard and fast rules defined in computer science. The Federal Health Information Model is a project under a larger program which is an initiative of the Federal Health Architecture (FHA). Briefly, the U.S. federal government has established a Federal Enterprise Architecture (FEA), which provides guidance to federal agencies on how they should develop their enterprise architectures. The methodology used by FEA, the Federal Segment Architecture Methodology (FSAM) recognizes that some "lines of businesses" in which the federal government is engaged cross agency boundaries. The healthcare line of business is one such case. As a result, the FHA was established as a partnership of over 20 departments and agencies to coordinate Healthcare Information Technology (sometimes called Healthcare IT, or HIT) activities among those partners. The FHA is managed by the Office of the National Coordinator for Health IT (ONC). The FHA has served as a forum by which the partner agencies have collaborated on several important initiatives, including the Nationwide Health Information Network. The FHIMS program is intended to coordinate the efforts of the partner agencies with respect to information and terminology standards, including the coordination of agency efforts at relevant Standards Development Organizations (SDOs) such as Health Level Seven (HL7), the National Council for Prescription Drug Programs (NCPDP), Integrating the Healthcare Enterprise (IHE), and others. Many of the partner agencies are already active in some of these SDOs, in which case the FHIMS program can help agencies speak with a single voice at the SDOs while also reducing redundant participation. For those agencies that do not yet have a presence in a particular SDO, this program provides a mechanism for agencies to delegate issues to another agency. For example, if the Department of Veterans Affairs (VA) is active in the Organization for the Advancement of Structured Information Standards (OASIS), and the Indian Health Service (IHS) is not, the FHIMS program provides an opportunity for IHS to learn of relevant OASIS activities, and for IHS to request the VA representatives to OASIS to champion a particular issue. Another FHIMS initiative is the Federal Health Terminology Model project, which coordinates partner agency efforts to develop healthcare terminology models (i.e., new content), and to enumerate "value sets" that can be associated with the Information Model. The Terminology Model is closely related to the Information Model, as they are each describing the same real-world concepts from two different angles. The Information Modeling team will work very closely with the Terminology Modeling team to identify those concepts which should be enumerated in a value set, to define that value set, and to define the members of the value set.